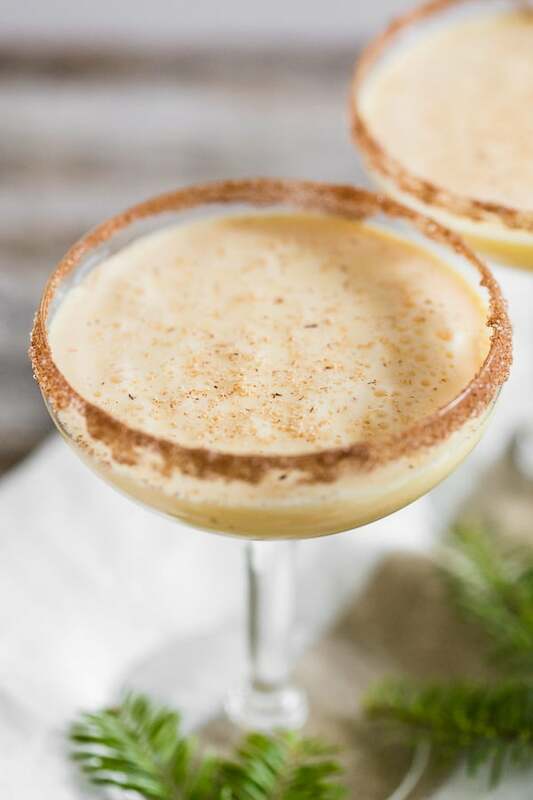 Toast to the holidays with this creamy eggnog martini. 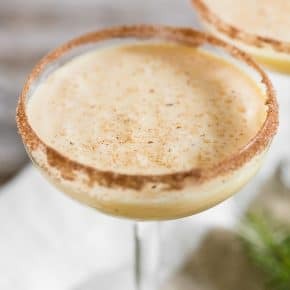 It combines delicious eggnog, vanilla vodka, amaretto, and a sprinkle of nutmeg. 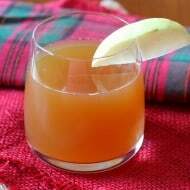 You’ll love this tasty winter cocktail! 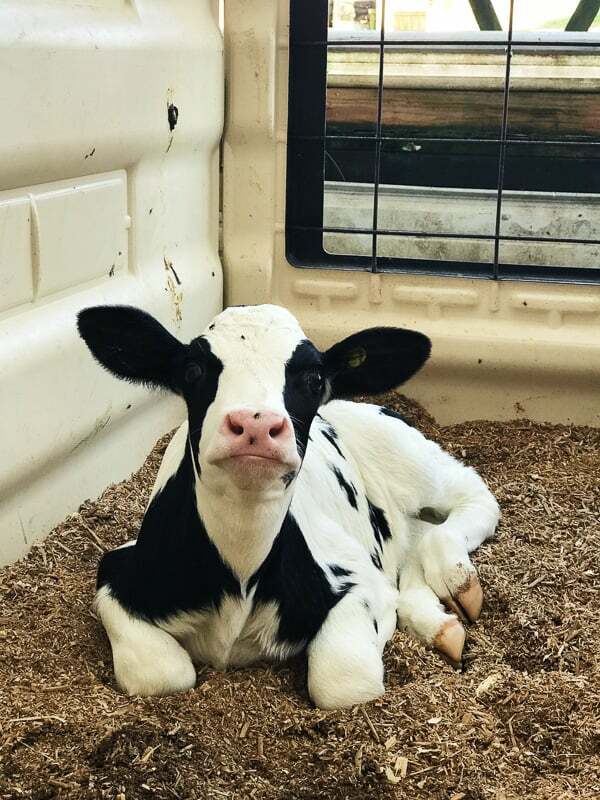 This post is sponsored by the American Dairy Association North East. All opinions are 100% mine. HAPPY HOLIDAYS! It’s time for a little cocktail to bring you a little (or a lot) of holiday spirit. As you all know, I’m a HUGE fan of all things eggnog. Especially if that eggnog is aged eggnog. Or used in this eggnog martini. Yeah, I’m a huge fan. Plus I feel Christmas isn’t Christmas without eggnog. I grew up looking forward to the “nog” each and every year because it’s a strict seasonal drink. You can’t very well be drinking eggnog in July. I don’t think you could even find eggnog in July if you tried. Well, you could make it but I just can’t imagine drinking a big glass of nog and then hopping in the pool. Now, the thing I love the most about this cocktail is not just that it contains eggnog BUT that it combines eggnog with vanilla vodka and amaretto. Plus, I sprinkled on a little nutmeg because it’s the perfect topping for any serving of eggnog. And you’ll love how fast and easy this cocktail is to put together. Just put a few ingredients into a shaker, give it a shake and enjoy! Now, you’ll notice that this post is sponsored by the American Dairy Association North East who I spent time with back in October. I had a great weekend away in upstate New York learning all about dairy farms and spending time with a few blogger friends. 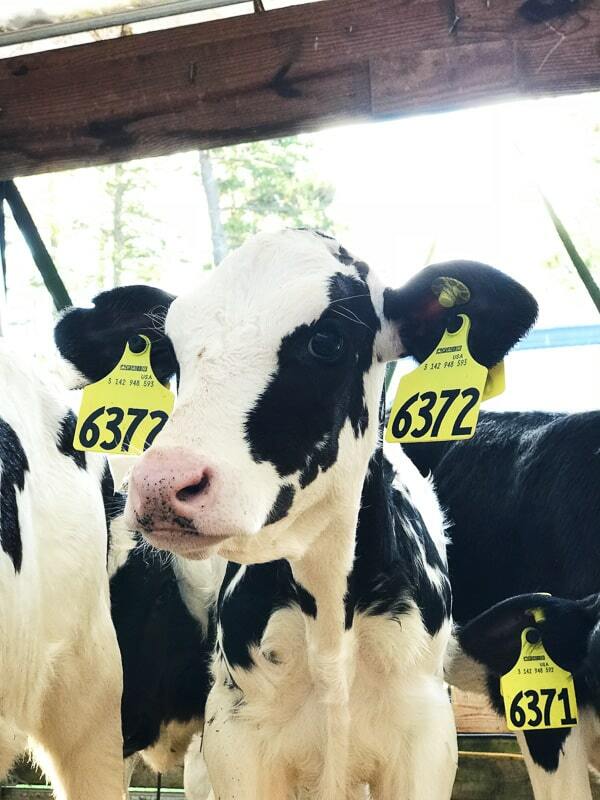 Beside just squealing over baby cows I learned a lot about modern day dairy farming and the farmers who live their lives proving families with fresh dairy products. I mean, if you read my blog you know I’m all about dairy – cheese, milk, butter, eggnog. I WANT IT ALL! We not only visited a few farms but we saw cheese being made, tasted local bourbon, ate a lot of cheese, competed in a cooking competition (I won!) and learned about all things dairy. 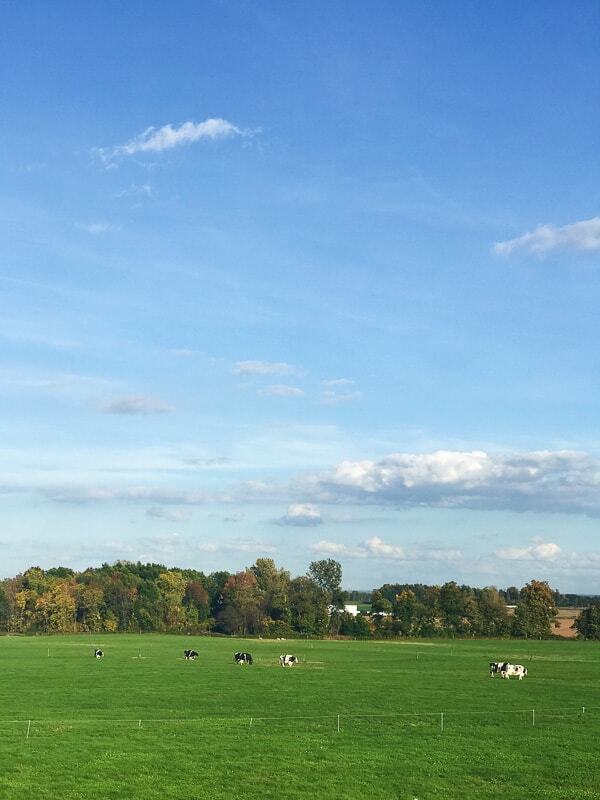 Farmers work long, hard hours and often times devote their whole life to dairy farming. They love their cows because healthy cows produce quality milk. There are no days off in the dairy farming world. Christmas, Memorial Day, Fourth of July – they work every. single. day. I think the thing I love most about visiting farms is seeing the passion farmers have for their job. You don’t go into dairy farming to be a millionaire. You do it because you love it. I like knowing that my food comes from farmers who love their job, love their herd and love the idea of producing quality dairy products. And obviously, without dairy, you can’t have eggnog! Which is why I thought this post was PERFECT for sharing about my dairy trip. 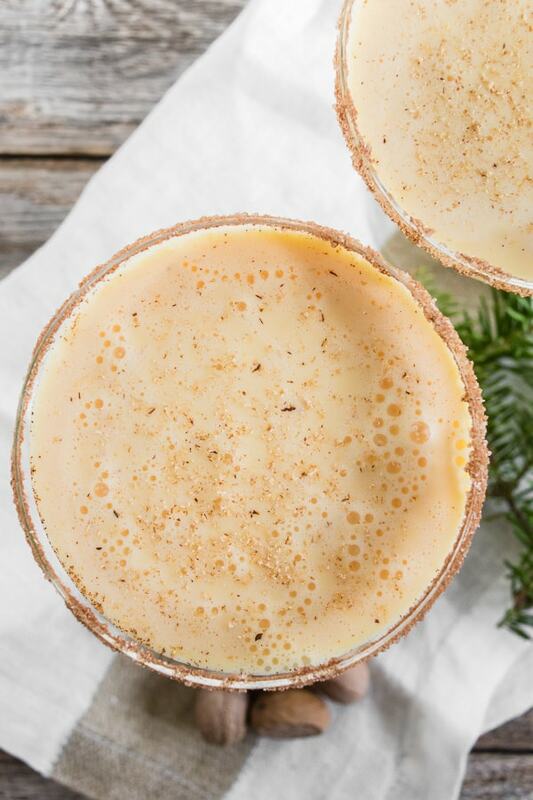 Let’s face it – eggnog is the dairy superstar of the holiday season! 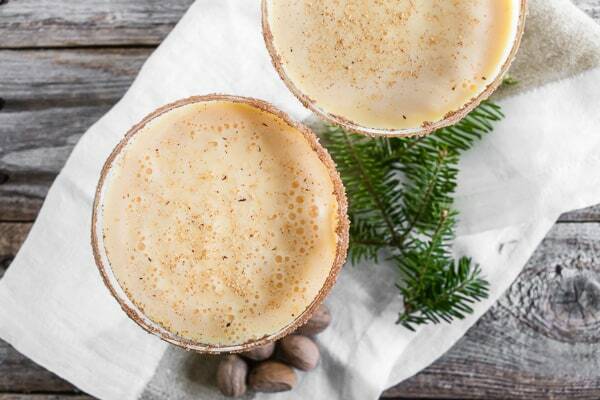 Toast to the holidays with this creamy eggnog martini. 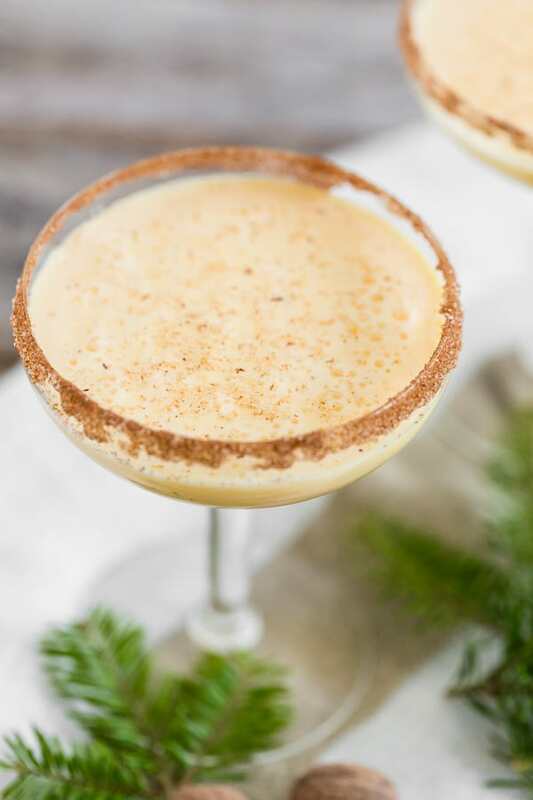 It combines delicious eggnog, vanilla vodka, amaretto, and a sprinkle of nutmeg. 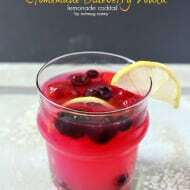 You'll love this tasty winter cocktail! Shake until well combined and strain into a chilled martini glass. Note: I rimmed my cocktail glasses with cinnamon sugar. 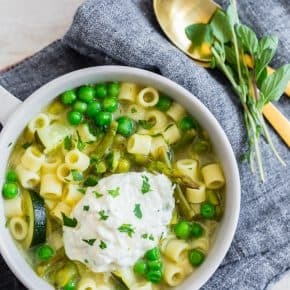 This is optional but looks super cute and tastes great. I don’t like eggnog (and I still don’t like goat cheese) do you still love me? 🙂 I might be able to get down with this drink though–looks terrific. I am a huge eggnog fan, especially around the holidays – may have to whip up a batch of these! This sounds delicious. I think I’m going to have to try it out for the holidays. Thanks for the inspiration! Oh, I’m definitely putting this on my New Year’s Eve list! I just made some candy cane martinis. You must try them! I’m always a bit wary of sweet martinis because I always want them to be SWEET (like a milkshake) and they never are. 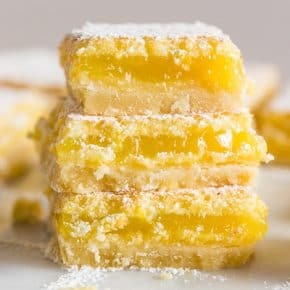 But with the amaretto…I’d definitely love this! These look amazing! I can’t wait to go home for Christmas and try them with my family… (the Spaniards don’t like eggnog very much!) Happy holidays and greetings from Spain! I want, I want! This is just the way I would want to enjoy eggnog…splendid! Oooh, all of my favorites combined in one drink. YUM! Oh my these sound delightful. PINNED. Just made these – one cold (martini) one hot (because I like hot eggnog). Both were delicious! Gorgeous pictures. I made these eggnog martini for the super bowl party and it was a crowd favorite. I’m also gonna pin this post on my Pinterest board my followers will love it. Thanks for sharing! 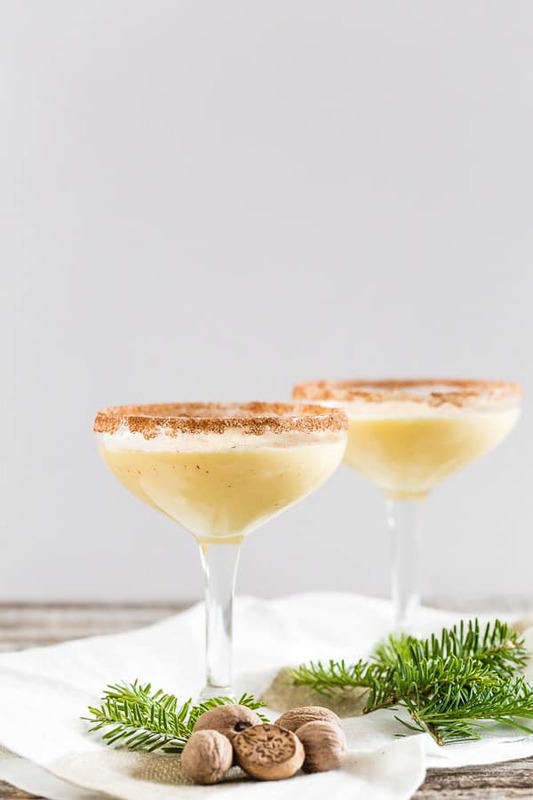 Absolutely love your creative idea with eggnog martini! Never seen something like this! Definitely I will try to make it too! Thx for sharing! That eggnog martini is so Instagrammable and adorable! As you know I made it a short while ago and it was lovely! Thx for sharing! An eggnog martini?! I am literally drooling over here… YUM. I have plenty of leftover eggnog in the house! I know what I’m making with it! 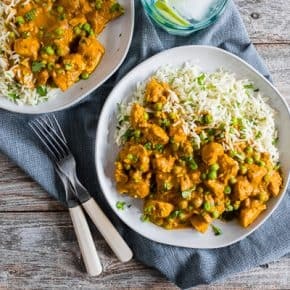 This look beyond delicious! 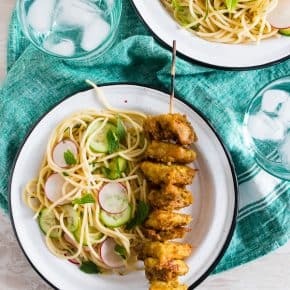 Combinations of those flavors are simply irresistible, need to make this! YES, please!! This looks amazing!! Perfect for the holidays!! OMG, these look dangerously delicious! 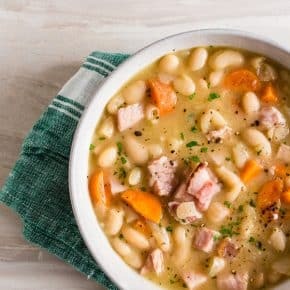 Trying them for my upcoming holiday party! Oh ya baby! 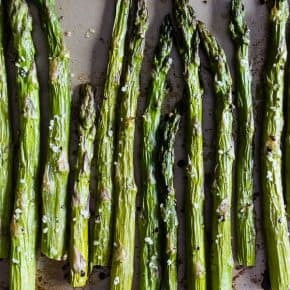 This recipe is so happening! I could drink this ALLL day! Yum! This is the perfect holiday cocktail! So pretty and festive! Cheers! OMG! 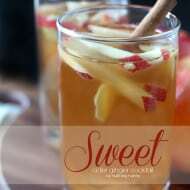 This drink is calling my name! Looks really amazing! ‘Tis the season for delicious cocktails like this!